INDIA and the US on Friday underlined the need for Pakistan to take meaningful, irreversible and verifiable action against terrorists and terror groups operating from its soil. The two countries exchanged views on threats posed by international terrorist organisations during the US-India Counterterrorism Joint Working Group and Designations Dialogue that concluded here on Friday. 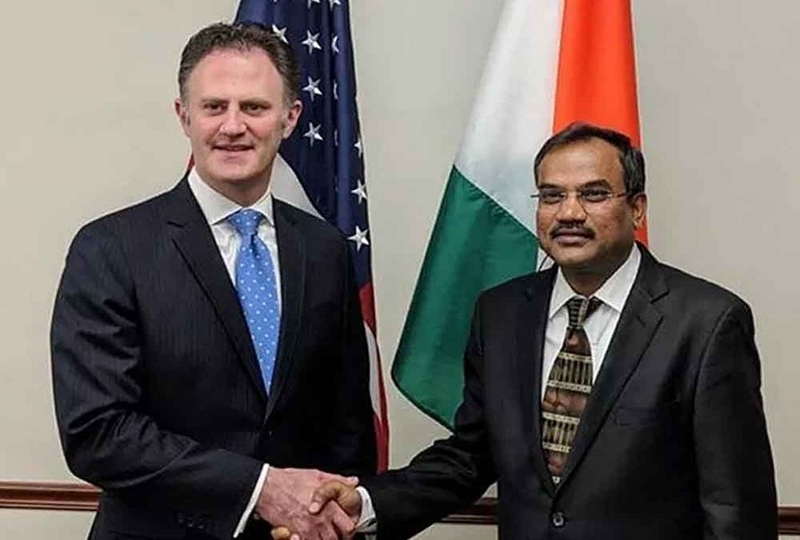 While the US delegation was led by State Department Coordinator forCounterterrorism Ambassador Nathan Sales, the Indian side was headed by Joint Secretary, Ministry of External Affairs, Mahaveer Singhvi. “Both sides underlined the urgent need for Pakistan to take meaningful, irreversible, and verifiable action against terrorists and terrorist groups,” according to a joint statement. It said the two sides discussed counterterrorism cooperation between them and resolved to continue close coordination on this important element of the bilateral relationship. Sales, according to the joint statement, emphasised the US support for the people and Government of India in the fight against terrorism. There was also discussion of strengthening cooperation on information sharing and other steps to disrupt the ability of terrorists to travel, consistent with the important provisions and obligations outlined in the United Nations Security Council Resolution 2396. Indian and American officials also highlighted their efforts on some of the world’s most pressing counterterrorism challenges, including countering the financing and operations of terrorist organisations, terrorist use of the internet, and prosecuting, rehabilitating, and reintegrating returning foreign terrorist fighters, said the statement. The US, it said, welcomed India’s participation in international efforts to counter terrorism finance. The two sides also shared information about their priorities and procedures for pursuing sanctions designations against terrorist groups and individuals, the statement said.